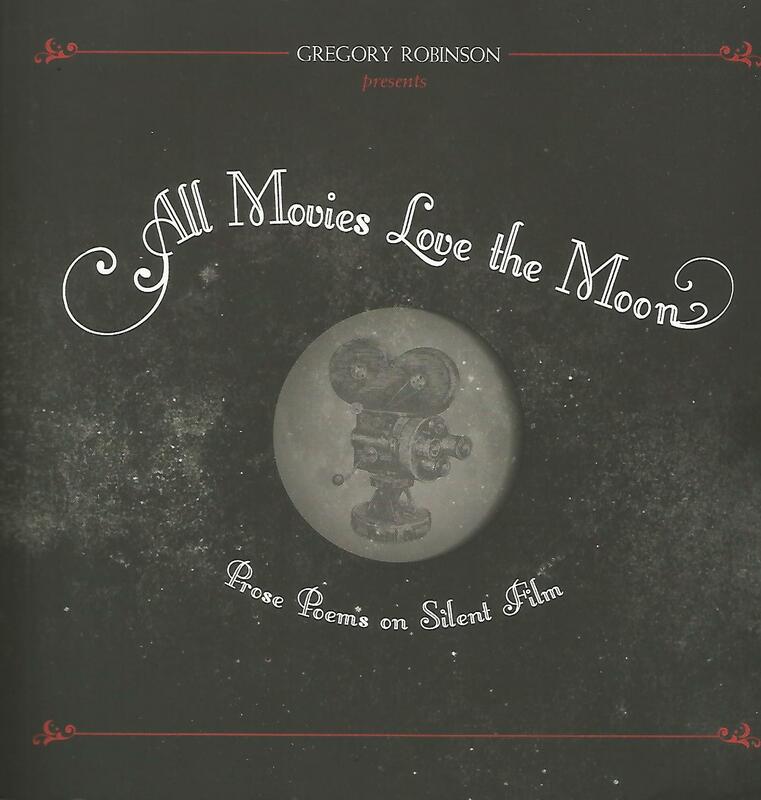 Thanks to Gregory Robinson for a review copy of his book All Movies Love the Moon, Prose Poems on Silent Film. It begins with an accident, the inevitable result of both ten thousand objects both real and imaginary cosmically tumbling, colliding at the nexus where silver meets secondhand meets skin. The burst of light is the birth of movies. Before you, a dirt road. A carriage passes, then a cyclist, both stirring a cloud of dust that settles on an automobile. The car is far angrier, making mad S shapes in the road, darting forward like a shark. Logic says move, but you have grown too heavy in this dream and the car is impossibly close. It breaks out of its world into yours, a pharaoh crossing over, a moth errant unto light, and Oh! Mother will be pleased. A pause. Here is death, an old woman whispers over popcorn. I knew it would happen like this. In movies mortality makes your acquaintance, inscripting your bones. The one on CITY LIGHTS at the end is particularly fine. Another plug, while I’m here. Friend of Shadowplay Paul Clipson is not just (just?) 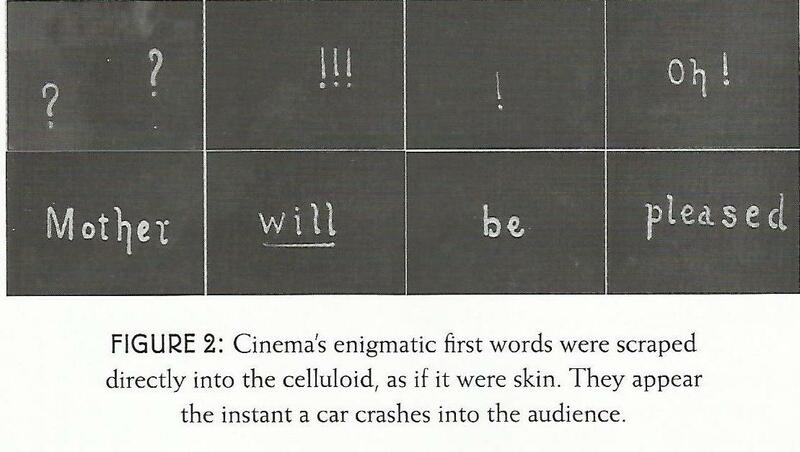 an experimental filmmaker, he’s a projectionist, and his limited-edition book of projectionist’s drawings, REEL, shows a creative solution to a practical problem: identifying approaching reel changes. You can buy it here, if there are any left. 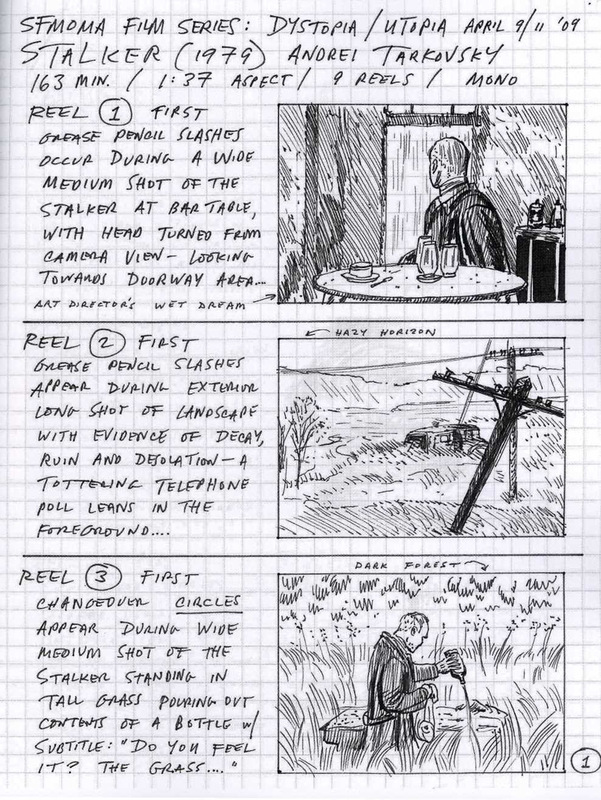 This entry was posted on March 31, 2014 at 10:44 am and is filed under Comics, FILM, literature, Painting with tags All Movies Love the Moon, Cecil Hepworth, Gregory Robinson, Paul Clipson, Reel, Stalker, Tarkovsky, What it Feels Like to be Run Over. You can follow any responses to this entry through the RSS 2.0 feed. You can leave a response, or trackback from your own site.